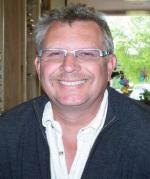 I'm Mark Dramen, Owner/Optician of Oregon Vision Center. 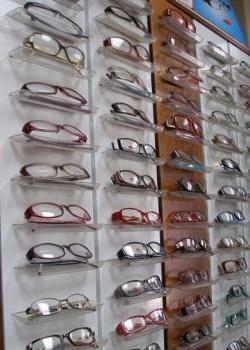 We have been caring for our patients' eyes since 1958. My father, Dr. Art Dramen, started in Prineville with just one goal: to give the very best eye care for the best value. We continue that today at our Prineville, Madras and Redmond eye care clinic locations - from vision testing, diagnosis and treatment of eye disease, eyeglasses, contact fitting and more, for children and adults. We have our own in-house optical lab, which means that we can make your eyeglasses quickly and more affordably than if we had to send them out to another lab. Most eyewear is complete within 24 hours. 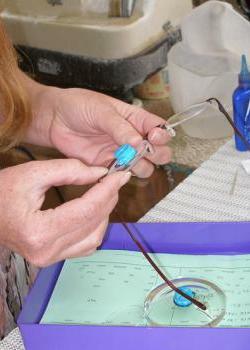 We can also help you with your repairs quickly and accurately. We welcome new patients at all of our Oregon Vision Center locations and look forward to being here for your eye care and eye health needs for you and your entire family! 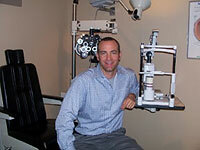 Oregon Vision Centers Optometrist Tom Thomason grew up in Bend and loves working and playing in Central Oregon. With over 16 years of clinical experience I still enjoy talking to people and explaining things to patients. Being a curious person by nature, I still find optometry to be challenging and interesting, which makes for a positive and fun office environment. "Because there are many options for Eyecare in Central Oregon, we hope that people will give us a try and see what makes us a little different." Thanks, Dr. Tom Thomason O.D.